While plant explorations in Mexico have resulted in the discovery and introduction of many interesting Agaves that were previously unknown, it would be a pity to forget about all the fabulous Agave species native to the United States. Agave utahensis is an uncommon plant, native to the dry limestone canyons and rocky slopes to the east of the Mojave Desert - California, Arizona, Nevada and Utah, no Agave is found in the wild farther north. One of the smallest species of Agave, this low growing plant grows up to 15 to 30cm (6 to 12in) tall, which offset to form large clumps of 25 to 60cm (10 to 24in) wide. It is also one of the most cold hardy Agaves and can cope with temperatures down to around minus 26°C (-15°F) or lower, particularly when dry. The variety nevadensis forms small rosettes, each with strongly outward pointing leaves that causes the rosettes to appear as though they are each looking in a different direction. The plants are extremely ornamental with blue-green sharp spiked leaves in symmetrical rosettes. In contrast to other subspecies it has broader, bluish green leaves with heavily toothed margins. Although the prominent teeth grow to 4 to 6mm long and look quite fierce they are actually not very sharp. The leaves end in a soft, grass like spine which is usually cream, occasionally darker. The plant produces offsets or 'pups' which tend to be adhered to the mother plant, eventually forming a large matt of spines where you can't tell which leaf belongs to which plant. When the plants mature in their native environment, they flower in late winter with huge 2 to 4 metre (6 to 12ft) tall spikes. Yellow, bulbous flower clusters arise along the stem on short one-inch stalks. 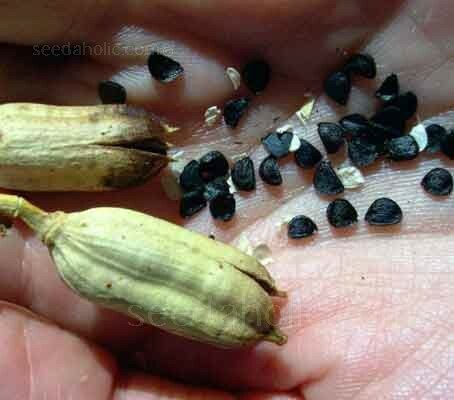 The fruits are capsules 2 to 3cm (1in) long and containing black seed. The plant was used for food and fibre by local Native American peoples. This stylish succulent has long been highlighted in gardening magazines and television shows. They are great used as feature plants in Mediterranean and modern style landscapes, pots and containers, rockeries, embankments and tropical style gardens. Agave utahensis var. 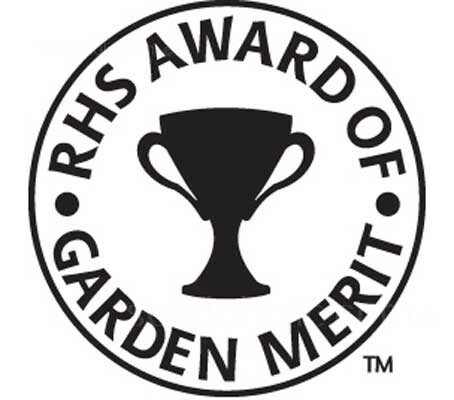 nevadensis was awarded the Royal Horticultural Society’s Award of Garden Merit (AGM) in 2002. Fill small pots or trays with a light and well-aerated compost. 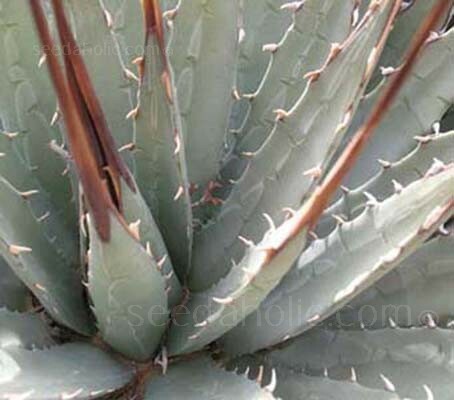 A commercial cactus soil mix is ideal for growing agave. (otherwise use John Innes Seed Compost, with the addition of ½ gritty sand). Do not firm the mixture down. Stand the pots in water, moisten thoroughly and drain. It is a good plan to stand the containers on a tray of damp sand, so that they do not dry out. Sow the seeds with the edge down so that the top edge is about equal with the soil line. Burying too deep will ruin germination. Secure a polythene bag around the pot or cover the container with glass or and place in a warm shaded place. If possible, germinate in a propagator. Care should be taken to prevent the pots drying out from below. Many people make use of a warm place such as the airing cupboard, or near the kitchen boiler. The majority of seeds germinate best at a temperatures of 22 to 24°C (70 to 75°F). Some seedlings may appear within a week or 10 days others will take longer. At lower temperatures, germination usually takes considerably longer. Once germination has taken place, remove the glass or plastic and move into a good light. Be careful to keep the top of the compost damp. As soon as the first seeds have germinated, remove the plastic or lid to permit some circulation of air. From now on, the tiny seedlings need to be in a good light, but must be protected from direct sun. Shade from all but winter sun is for the first 12 months. If the young plants are exposed to too much sun, or the compost dries out, they may stop growing and often turn red; once they stop, it is often difficult to persuade them to start growing again. After germination and at intervals of about 10 days, it is as well to spray with a fungicide. It is as well to continue this treatment for 8 to10 weeks, or until the seedlings look like miniature agave. Never let the pots dry out-but don't saturate them either. A sodden compost is as harmful as a dry one. Prick out when the seedlings are large enough to handle. Agaves prefer rich and very free draining compost. Keep at a minimum of 16°C (60°F) during their first winter and water carefully. Grow in bright sun as strong sunlight will encourage the full colours of the leaves to develop. Agave plants make a stunning specimen plant for containers or a well drained spot in the garden. They are best grown in an unglazed terracotta pot with at least one drainage hole in the base. Most tend to be slow growers, but well worth the effort. Grow them in porous soil with adequate drainage. They do well in full sun or a lightly shaded area but cannot grow in full shade. Although many agave are hardy, particularly when dry but it is best to avoid severe freezing temperatures. Many have extreme heat tolerance and are particularly useful as a house-plant. Agave can tolerate drought and do not requires excessive watering. As a succulent, agave can hold water inside it leaves, stems, and roots. The soil should actually dry between watering periods. A deep watering about once per month is suitable for established plants. Small plants should be watered about once every week. They should be kept almost dry during the winter months, only water them to prevent the roots from completely drying out, once a month should be fine. There is no need to mist the leaves. During the summer enrich the soil using a fertiliser rich in potassium and phosphorous, but poor in nitrogen, because this chemical element doesn’t help the development of succulent plants, making them too soft and full of water. In addition to propagation from seeds, most agaves produce 'pups', young plants grow from runners. Offsets can be potted up at any time they are available, remove any offshoots from the base and let the cuttings dry for a few days before replanting in compost. Keep in a warm greenhouse until they are well established. The only problem is the logistics of getting to them, as the plants have very sharp spines and the pups are usually positioned right up against, or underneath the mother plant. Repot large container grown specimens every two or three years - wrap the rosette in newspaper to prevent yourself from being stabbed. There are four major parts of the agave plant that are edible: the flowers, the leaves, the stalks or basal rosettes, and the sap (in Spanish: aguamiel, meaning ‘honey water’) Seeds are ground into flour. The flower stalk, roasted, & the Root cooked. The heart of the plant, which is partly below ground, is very rich in saccharine matter and can be eaten when baked. It is sweet and delicious and can be dried for future use or soaked in water to produce a flavourful beverage. Sap from the cut flowering stems is used as syrup. The sap can also be tapped by boring a hole into the middle of the plant at the base of the flowering stem. It can also be fermented into 'Mescal', a very potent alcoholic drink! Plants of the genus agave generally are thought of as perennial because it takes more than one growing season to complete, but they are better considered as multiannuals since most of them bloom only once during the lifetime of the plant. Most agaves are monocarpic, which means that the plants flower, set seeds and then die. (Other terms with the same meaning are hapaxanth and semelparous.) There are only a very few species of agave that are polycarpic, these blooming repeatedly through the life of the plant. As agaves approach maturity at 10 to 30 years of age, they accumulate a large amount of carbohydrates in their tissues that provide the energy that fuels the rapid development of the large flower spike. No Agave is found in the wild farther north than Agave utahensis from northern Arizona, southern Utah, southern Nevada and eastern California, where it usually grows at moderate elevations at 1200 to 1900 metres above sea level. It can be found on dryish, stony calcareous outcrops, slopes and ridges in mountainous areas and canyons, to the east of the Mojave Desert with desert scrubs. Agave utahensis is variable over its range and comprises two subspecies, subsp. kaibabensis and subsp. utahensis. The subspecies utahensis comprised at least two varieties, var. nevadensis and var. eborispina. These varieties are now regarded by some botanists as mere ecotypes or geographical forms, so now they are all synonymised with utahensis, but they are still considered distinct by collectors for their peculiar traits. The Agave plant is so sacred and revered historically by the indigenous peoples of Mexico, that through mythology, religion and lifestyle it is completely rooted within the cultural history of Mexico. Agave were an important crop, and a huge variety of products were obtained from the plants. Cortez and his Spanish invaders arrived from Cuba in 1519 and discovered an enchanted new world full of new resources and commercial practices. In his first letter to King Carlos V he writes, "They sell honey emanated from corn that are as sweet as the sugar obtained from a plant they call maguey and from these plants they make whine and sugar which they sell". Subsequent to the invasion the outward spread of agave cultivation occurred rapidly in all directions from its original nucleus, and as colonisation spread the Spaniards took their labour force with them, who in turn took their agaves with them and so occurred the spread of species to new habitats beyond their natural range. There is evidence from paintings, murals, frescoes and illustrations that agaves may have been grown in Europe for some 3000 years. There are frescoes depicting succulents illustrating Homer's Odyssey whilst in the oldest church in Denmark, 900 years old, there are frescoes showing cacti and agaves. Columbus collected agaves amongst other species in 1492--93 as he mentions the finding and collection of 'aloes' and there is more recorded evidence in diaries from subsequent voyages. In 1516 Peter Martyr mentions agaves, sedums and sempervivums in 'Decades de Orbe Nova' and the same author in ' De Rebus Oc. et Orbe Novo' published in Basle in 1533 describes amongst the plants of the island of San Domingo ‘eine Maguei’ ( a Maguey ), a common local term for an agave. The Agave obtained its genus name from the Greek word ’agavos’ meaning admirable or illustrious, an apt description for some of the most magnificent and noble plants. The species and variant names, utahensis var. nevadensis refer to the origin of the plant. 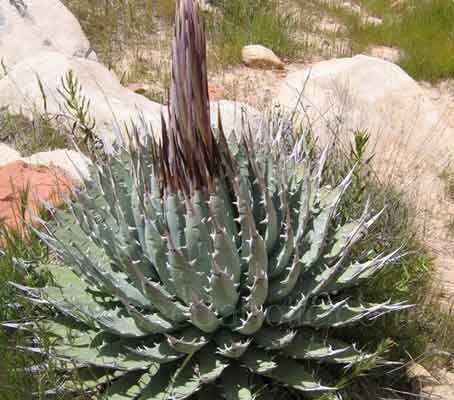 It has the common name of the Dwarf Agave, (being one of the smallest Agaves) and the American Aloe (it is not an Aloe). Maguey is the common local term for an agave. The Spanish conquerors gave the name Maguey to the agave and the name is still in use today in Mexico. It was first called Metl by the Mesoamerican tribe, the Nahuatl of which the Aztecs are descended. Metl was so valuable to the Aztecs that the name of the land they settled in, Mexico, actually means 'those fed from the navel of the maguey'. Many Agave species have the common name of Century Plant, somewhat implying that the plants live for a hundred years, a few decades is more the norm. At one point Agaves were placed among the Liliaceae, but now Agave and related forms have been placed in the family Agavaceae. Flower with huge 2 to 4m (6 to 12ft) tall spikes. Yellow, bulbous flower clusters arise along the stem on short one-inch stalks. Agaves prefer rich and very free draining compost. Sow indoors at any time of year.